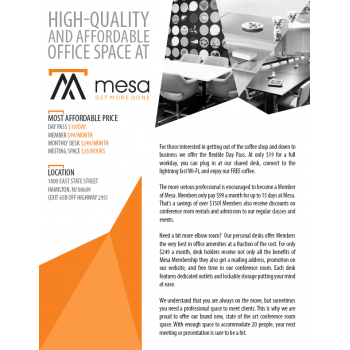 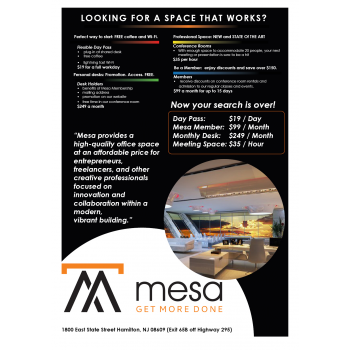 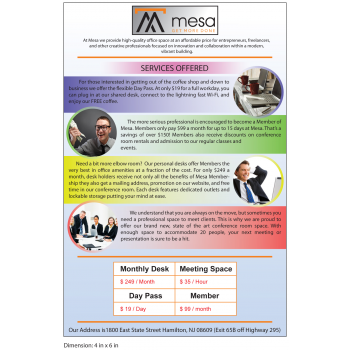 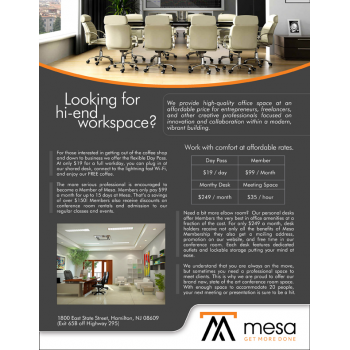 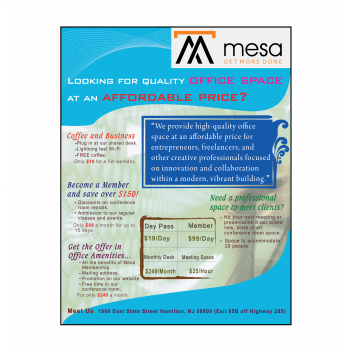 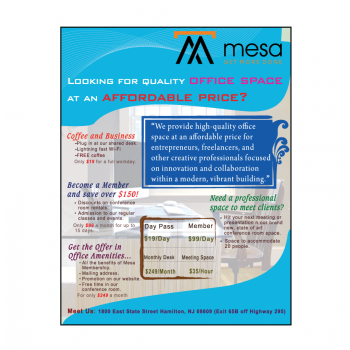 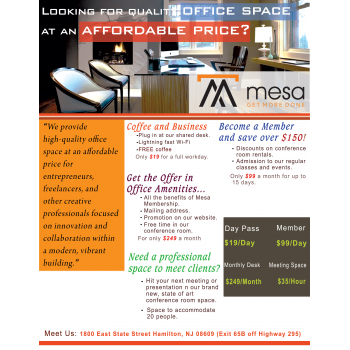 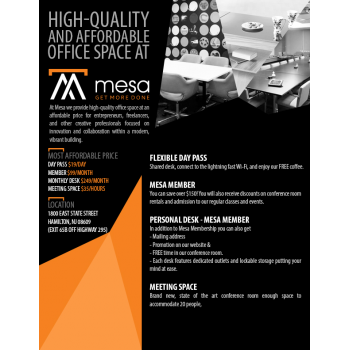 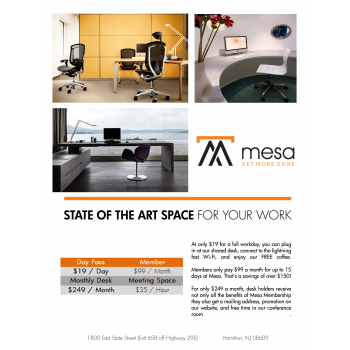 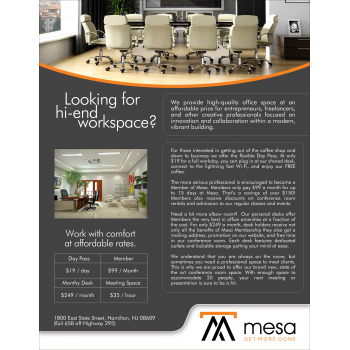 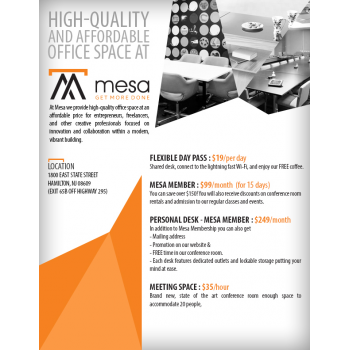 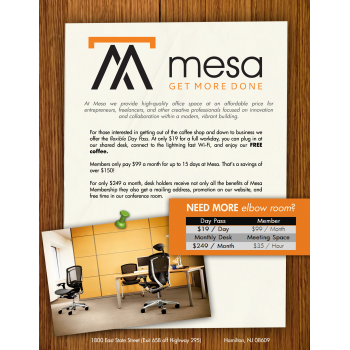 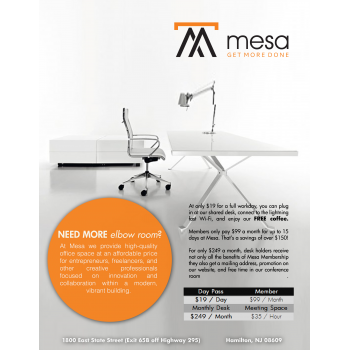 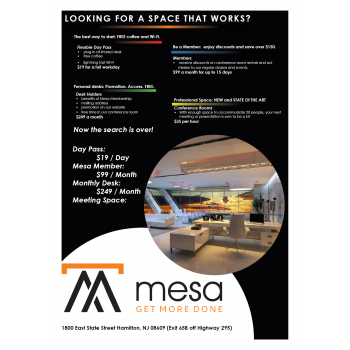 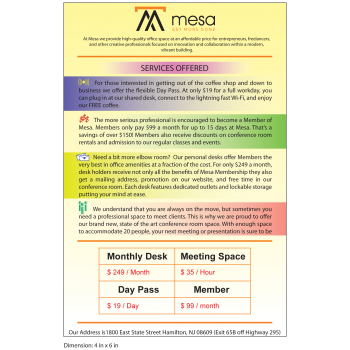 At Mesa we provide high-quality office space at an affordable price for entrepreneurs, freelancers, and other creative professionals focused on innovation and collaboration within a modern, vibrant building. At Mesa we provide high-quality office space at an affordable price for entrepreneurs, freelancers, and other creative professionals focused on innovation and collaboration within a modern, vibrant building. 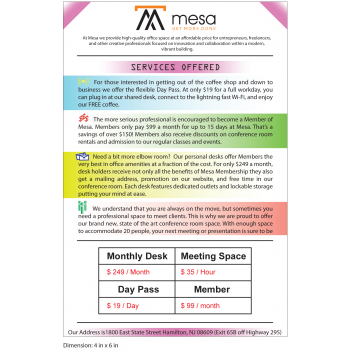 We would like to have a one-page flyer (or brochure) designed that includes our logo, who we are, what we do, our prices and a call to action... etc. 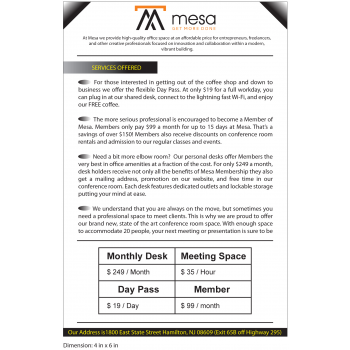 It will be used for online and print purposes. 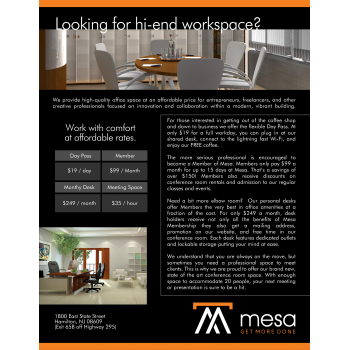 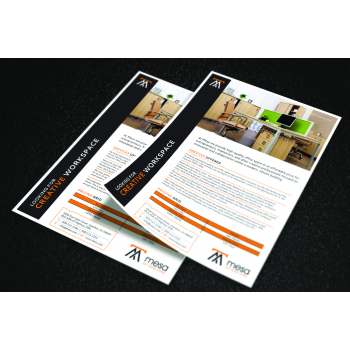 We'd like to be able to print it on an 8 1/2 by 11 sheet and post online too. 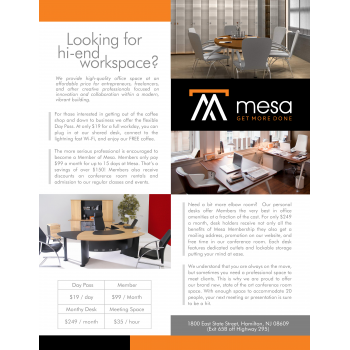 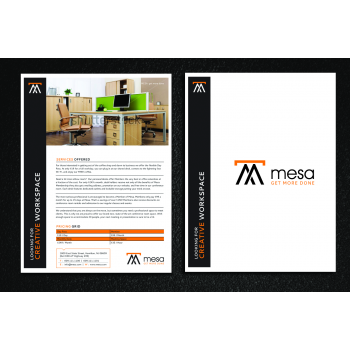 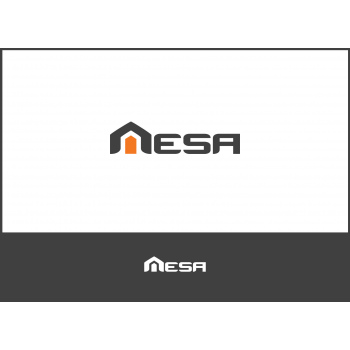 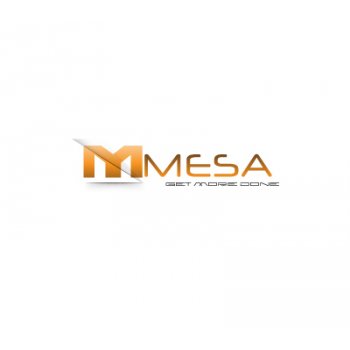 Please see the attached word document with more info about Mesa and our specifications for this contest. 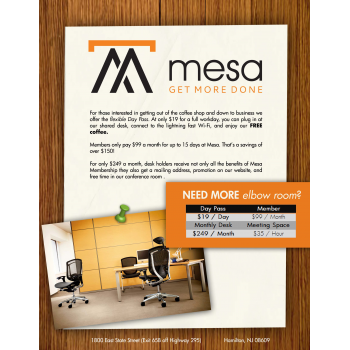 The copy is included in that document as well. 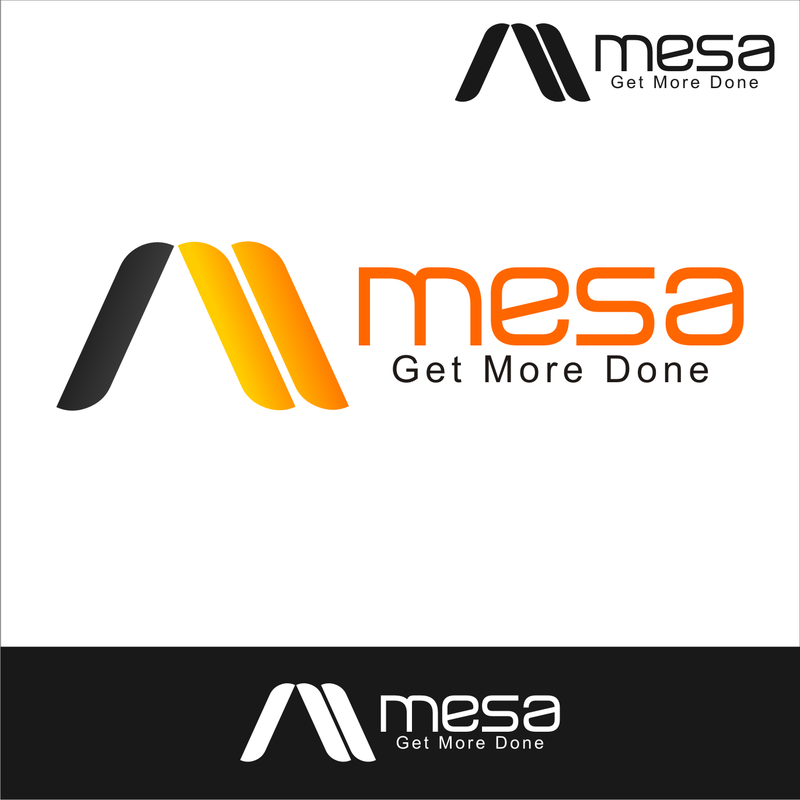 Our logo is attached and must be included too. 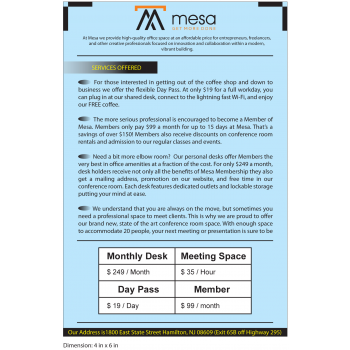 Attractive, informative, and makes me want to join.